Day Trips from St. Simons Island, GA, Jekyll Island, Little St. Simons Island, Sea Island, Cumberland Island, Darien County, McIntosh County, Kingsland, Georgia, Okefenokee Swamp, Sapelo Island, Waycross, Georgia, Seabrook Village, HOfwyl Broadfield Plantation, Old Town, GA.
St. Simons is close to so many places and things worth seeing that you could spend months exploring the region and still find plenty more to do. Many of these locations are just minutes away, while others only a couple of hours driving time. All of them should definitely be on your bucket list, as the Golden Isles and coastal regions of Georgia, Florida, and South Carolina are home to some of the world's best spots for living history, wildlife and natural ecosystems, and the scenic beauty you won't find anywhere else. Make plans during your stay to visit any of these wonderful nearby attractions, each of which is within a short drive and offers a variety of attractions, outdoor adventure and shopping and dining experiences that make it worth the trip. Once an exclusive winter retreat for some of America's wealthiest families. Their exclusive Jekyll Island Club, a collection of "cottages" and a variety of support structures are now a National Historic Landmark, the Historic District is open to the public. Today, owned by the State of Georgia, the island retains much of its natural beauty and offers a wealth of amenities and activities including 63 holes of golf, tennis, beaches, 20 miles of bike paths, mini-golf, nature tours and Summer Waves Water Park. A National Register District, historic Old Town in nearby Brunswick is filled with majestic homes noted for their turn-of-the-century elegance and eclectic mix of styles. The burgeoning downtown is filled with interesting antique shops and a growing number of specialty shops and art galleries. At Mary Ross Waterfront Park, you'll see fleets of shrimp boats that work the local waters and contribute to the area's rich seafood industry. Located just north of Brunswick, offers a glimpse into the lives of planters and slaves that grew rice along the Altamaha River nearly 200 years ago. You can tour the antebellum home built by the Troup family and examine the nineteenth century farm equipment still stored in the barn. Call 912.264.7333. A private island accessible by boat. 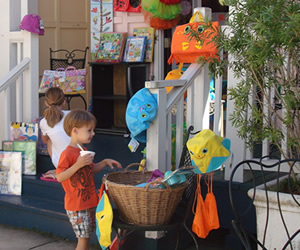 St. Simons Island's north end, offering accommodations for up to 30 guests - a wonderful destination for family reunions and small group gatherings. 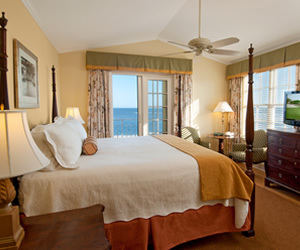 Home to The Cloister, a world-class resort renowned for its luxury and gracious service, now offers new Ocean Houses, with beautiful oceanfront accommodations and flexibility for accommodating groups of most any size. Top-notch amenities include a full-service spa, golf, tennis, Shooting School, horseback riding, kids programs, a private beach, fishing, waterway excursions and more. Special theme weekends throughout the year are devoted to ballroom dancing, bridge and fine wines. You'll know your destination is someplace special when you board the Cumberland Queen for a short ferry ride across the bay to Georgia's secluded paradise of Cumberland Island. This unspoiled National Seashore are forever preserved in time, with pristine white beaches and windswept dunes that are home to a variety of wildlife and native species, such as wild horses, turkeys, alligators, deer, armadillos, live oak and palmetto forests, and a plethora of coastal birds. Popular destinations on Cumberland Island include the 1898 Georgian Revival Plum Orchard mansion and the dramatic ruins of the once splendid Carnegie Estate "Dungeness." Cumberland Island was voted "Best Wilderness Beach" by the Travel Channel and ranked #4 in Trip Advisor's "Top 10 Beaches in the U.S." Pristine and secluded, Cumberland Island National Seashore, is located south of Brunswick, via I-95, Exit 3. A favorite destination for coastal visitors who love history, wildlife, and a vast sweep of unspoiled beaches. John F. Kennedy, Jr. was married on Cumberland Island. For ferry boat schedules call 912.882.4335. This natural habitat of pine and hardwood forests, salt marsh, and over two miles of wide, sandy beaches is managed by the Department of Natural Resources. Guided tours are offered which provide a glimpse of Sapelo Island's earlier inhabitants, including the R.J. Reynolds mansion, the Gullah Community of Hog Hammock, and tabby ruins of a sugar plantation. Home of the University of Georgia Marine Institute, features a guided tour of the pristine barrier island beaches and Hog Hammock Community, where many of the descendants of the Plantation era still reside. Advance reservations for the ferry ride to Sapelo Island are required and can be made by calling 912.437.3224. Amelia Island is home to Fernandina Beach, a colorful downtown district with boutique shops, ice cream parlors, and restaurants. Amelia is the annual host of the Amelia Island Concours d'Elegance, the Amelia Island Jazz Festival, Amelia Island Film Festival, the Southern Lardo Festival, the Isle of Eight Flags Shrimp Festival, and the Amelia Island Chamber Music Festival. For the outdoor lovers, Amelia offers kayaking and canoeing adventure, sunset cruises, fishing charters and tours, nature trails to explore, and abundant natural wildlife to see. Known for its pristine beaches and clean water, natural wildlife as well as world-class resorts, spas, golf and fine dining, Amelia Island was voted #6 among Top 10 North America Islands by Conde Nast Traveler's 2008 Reader's Choice Awards. An hour North of Brunswick and just minutes away from Tybee Island is Savannah, Georgia, known for its historic downtown squares and the shops and restaurants along its waterfront district. This charming city is steeped in history and its picturesque downtown is surrounded by shady Southern Oaks draped in Spanish Moss, with period architecture, horse-drawn carriage rides, and many guided tours and historical charters available. Waycross is a nationally-recognized Main Street City filled with Southern hospitality and charm. From the historic downtown district to the swamp lands of the Okefenokee, there is something for everyone. Art and history meet at three local museums - Okefenokee Heritage Center, Southern Forest World, and Obediah's Okefenok - a mid-1800s homestead featuring special events with living history demonstrations. Visitors can enjoy boating, skiing, golf and nature trails at Laura S. Walker State Park, a coastal birding site. Waycross is a about an hour drive from St. Simons Island. For more information, visit the Kingsland Welcome Center at I-95 Exit 3 or call 1.800.433.0225 or visit online at VisitKingsland.com. Or click here for the official Okefenokee National Wildlife Refuge website. An African American living history museum located near Midway, Georgia. Founders of Seabrook Village were freed slaves who took advantage of post-Civil War land grants to begin a new life of freedom on their own property. Join in a widely varied schedule of interactive exhibits and programs from toy-making to cane-grinding. Call 912.884.7008 for more information. Located in the southeast corner of Georgia, Kingsland is just three miles north of the Georgia/Florida border at Exits 3 and 6 on Interstate 95. Kingsland is a small town with undeniable charm and intrigue. Less than an hour's drive from St. Simons Island, Kingsland, GA is where wandering rivers wind through dense marshlands, dotted with abundant wildlife that make their homes among the river shores and lakes throughout the area. 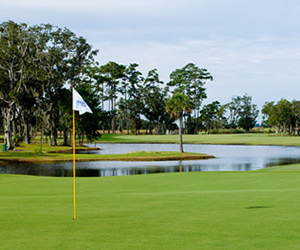 Golfers enjoy the natural beauty of manicured greens set among tidal creeks and marsh grass. For outdoor pursuits, take a leisurely walk on the expansive beaches with the wild horses that live on Cumberland Island. Native birds and alligators can best be seen on a guided boat tour through the Okefenokee Swamp.